Professor Seeram Ramakrishna, FREng, FBSE is the Director of Center for Nanofibers & Nanotechnology at the National University of Singapore (NUS). 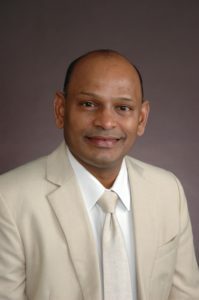 He is a Highly Cited Researcher in Materials Science (www.highlycited.com). He is among the World’s Most Influential Scientific Minds (Thomson Reuters). He co-authored ~ 1,000 articles with ~111 H-index. His research outcomes have been translated into products. He is a Fellow of UK Royal Academy of Engineering (FREng); Biomaterials Science and Engineering (FBSE); American Association of the Advancement of Science (AAAS), and American Institute for Medical & Biological Engineering (AIMBE). He is a recipient of IFEES President award- Global Visionary; Chandra P Sharma Biomaterials Award; Nehru Fellowship; LKY Fellowship; NUS Outstanding Researcher Award; IES Outstanding Engineer Award; and ASEAN Outstanding Engineer Award. He received PhD from the University of Cambridge, UK, and The General Management Training from Harvard University, USA. He is a member of ISO/TC national committee on Medical Devices, Singapore. He chairs the Future of Manufacturing technical committee of Institution of Engineers Singapore.